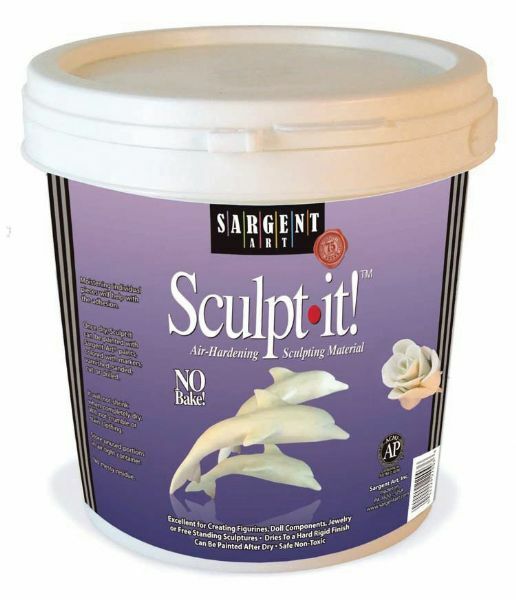 No bake air-hardening white sculpting material that dries ceramic hard. * Pliable and easy to use. * Moistening enables small pieces to stick together. * Usually dries in about 24 hours; denser sculptures may take longer to dry. * Finished fully dried work can be drilled sanded or painted.